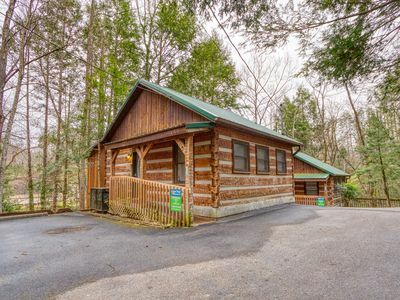 If you are looking for Mountain views and a place close to downtown Gatlinburg and the ski slopes then this is the condo for you! 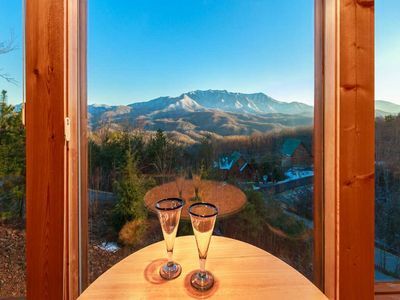 Our condo offers amazing views of Mount Leconte, Downtown Gatlinburg, and Ober Gatlinburg Ski Resort. The view from the balcony offer some of the best views in the summit. 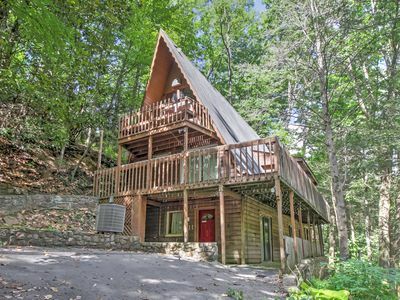 This condo is updated and clean, and is located above Gatlinburg at the Gatlinburg Summit. 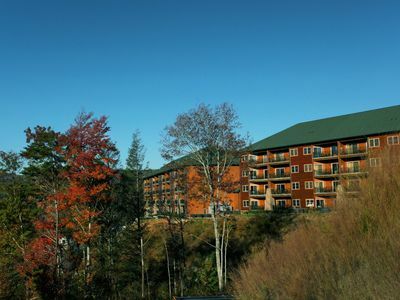 The summit is a peaceful resort featuring a year round indoor heated pool, hot tubs as well as a seasonal outdoor pool. The Indoor pool is opened until 9:45 nightly. 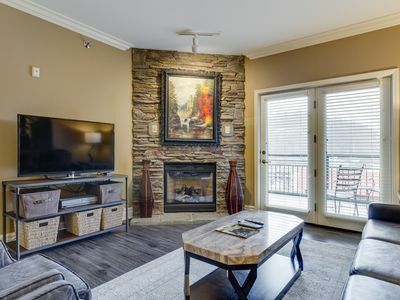 During the fall/winter season the summit provides all the firewood you need for the wood burning fireplace. 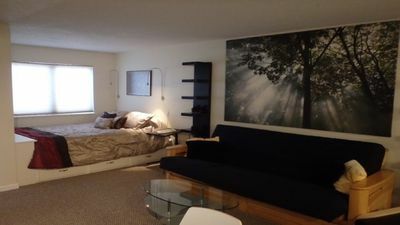 Bedrooms: Our unit has two Bedrooms offering queen size beds with mattress pads and plenty of pillows and comfortable sheets. 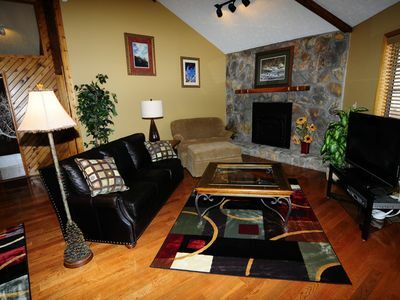 Each room is nicely decorated, flat screen TV's with cable and dvd players are in both rooms. 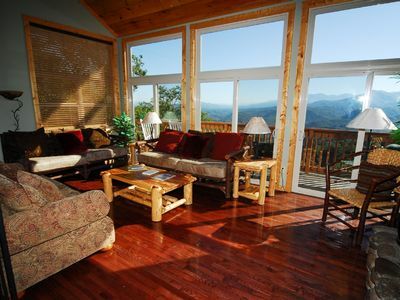 Both rooms offer incredible views of mt. Leconte. Bathrooms: our unit has two bathrooms that are nicely decorated with fresh clean bath towels wash clothes and hand towels. We provide shampoo, conditioner and body wash located in each shower. 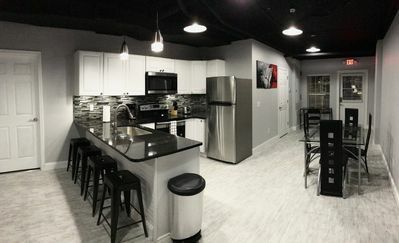 Kitchen: Our kitchen is fully functional featuring stainless steel appliances. Kitchen is stocked with plates, pots, pans, silverware, glasses, and cups. Other features include microwave, dishwasher and kitchen table for four. Living room: Features include comfortable leather couch and chair, throws and pillows. Nice extra seating area by the window. 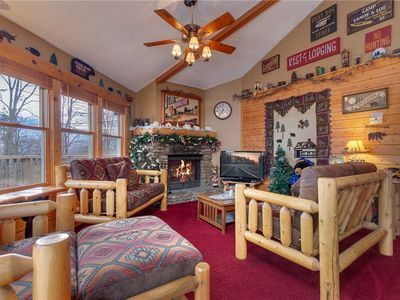 Centered in the living room is a cozy wood burning fireplace. 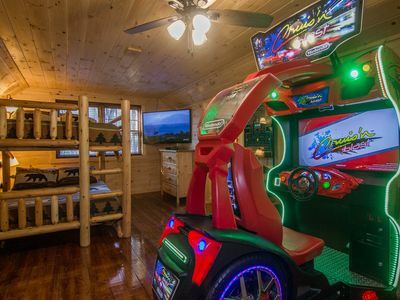 32' flat screen TV with DVD player, games and a few DVDs. 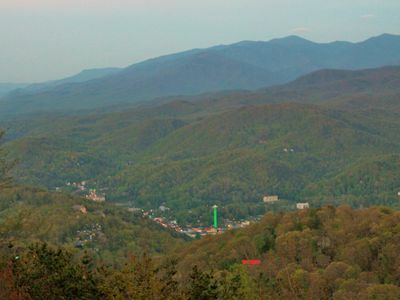 Spectacular views of the mountains and of downtown Gatlinburg. 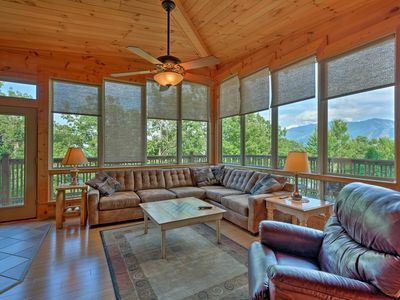 Sliding glass door that leads to the balcony with amazing unobstructed views of downtown Gatlinburg, Mount Leconte and Ober Gatlinburg. 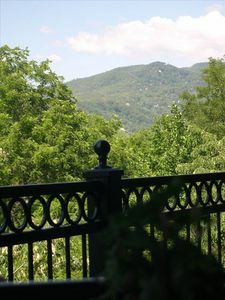 The Summit is located only 3 miles from Downtown Gatlinburg and about 1.5 mile from Ober Gatlinburg Ski slopes. Area attractions are easily accessible from the Summit. Only 200.00 down is required to hold your reservation. The remaining will be due 30 days prior to check-in date. 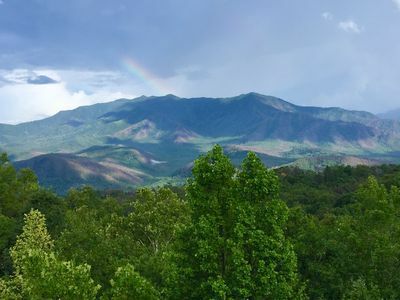 It's easy to book your vacation at 'ourplaceinthesmokies' online, Please feel free to call or email with any questions. 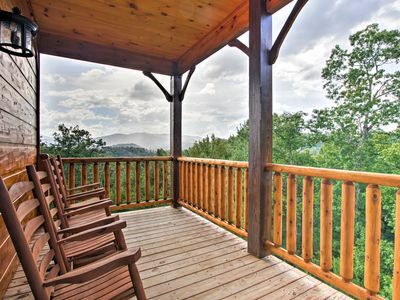 Also check our website out for information on our other properties in the smokies. 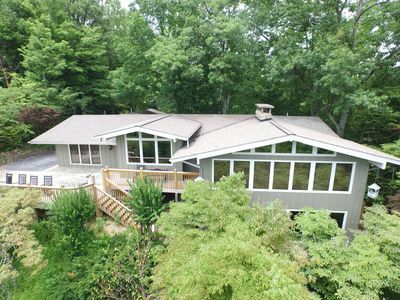 Gatlinburg Home w/ Hot Tub - 2 Miles to Parkway! 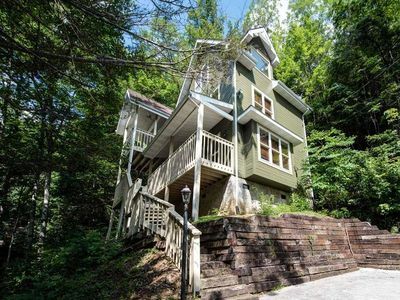 Private, large mountain home, sleeps 20. Hot tub, pool table, fireplace. 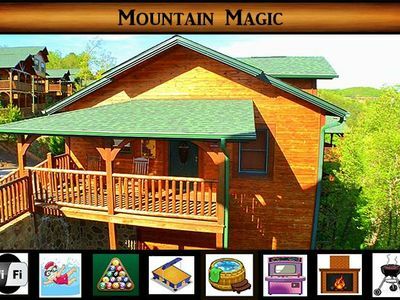 Gatlinburg Cabin w/Pvt Hot Tub, Mtn Views, & Pool! NEW! 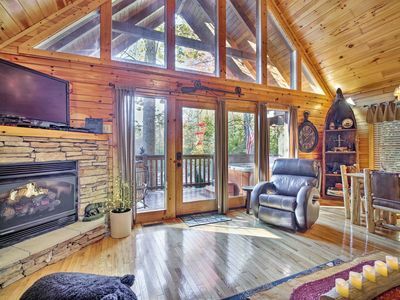 'Smokies View' Gatlinburg Falls Luxury Cabin! NEW! 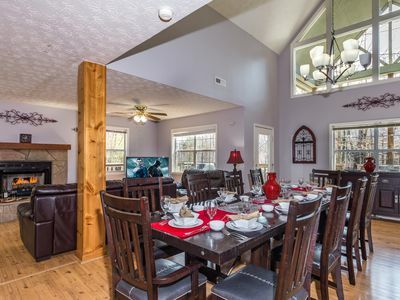 ‘Paxton’s Creek’ Gatlinburg Cabin w/ Hot Tub!